I mentioned the Donna Hay cookbook I got for Christmas in my last post and this recipe is also from “The New Classics”. It is likely that my next post will be too! 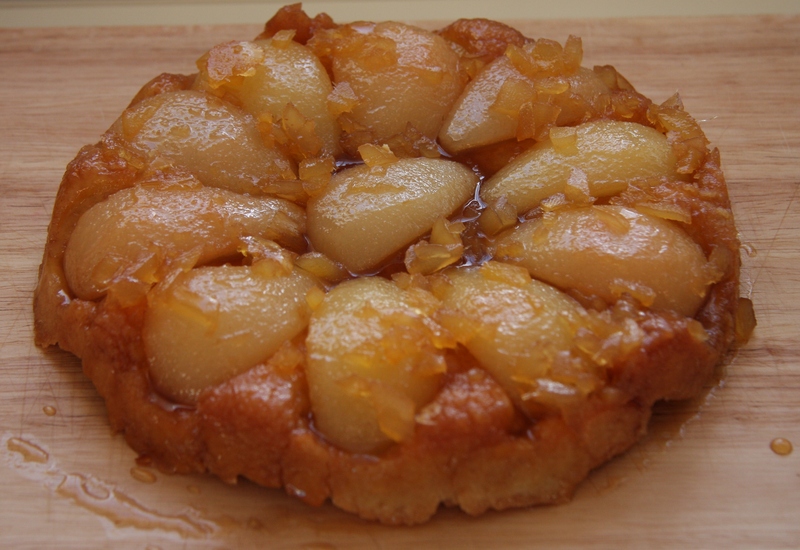 Instead of using packet puff pastry I subsituted the pastry recipe I have used for tarte tatin in the past. 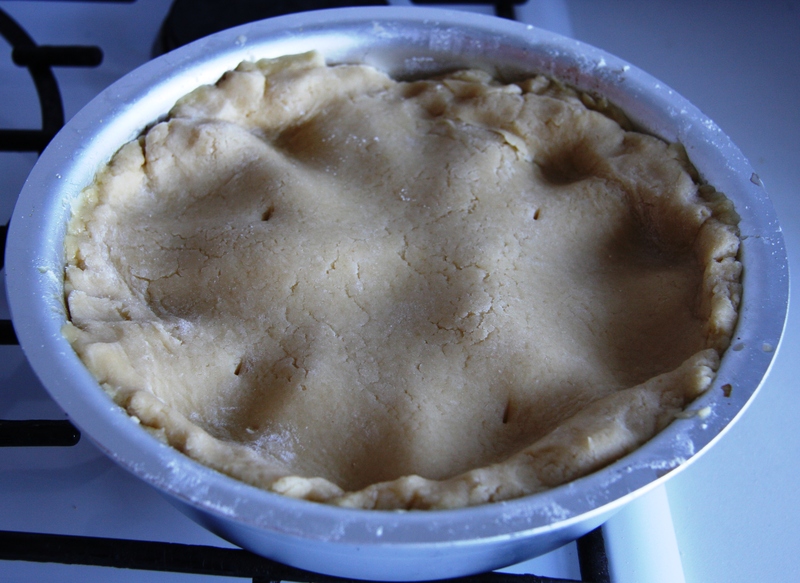 The pastry is very quick and easy to make and I prefer it to puff pastry for tartes tatin. Pear makes a interesting change from apple and the addition of ginger and maple syrup make this tarte particularly delicious. 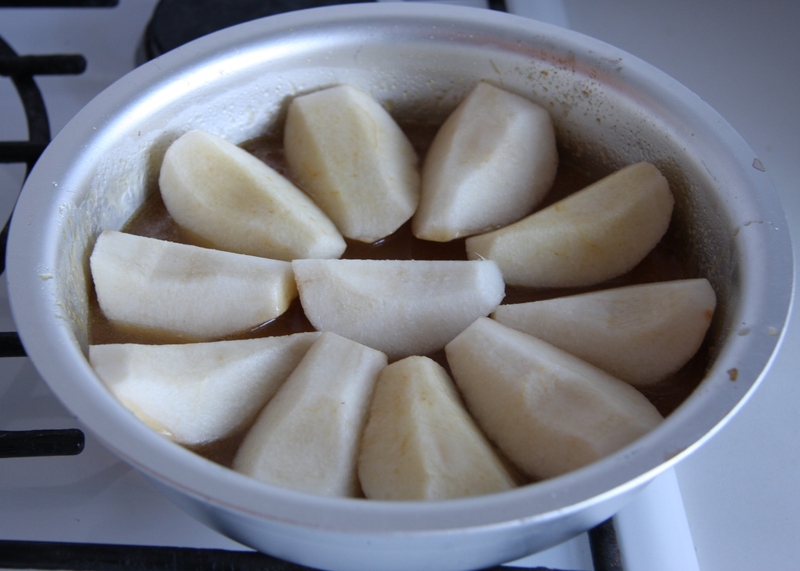 You would normally cook the apple in the caramel before adding the pastry and putting it in the oven. There is no need to cook the pear in the same way as it will be perfectly cooked in the time it takes the pastry to go a beautiful golden brown. This is great with vanilla ice cream or cream and you can serve it hot or cold. You can even bake it in advance and warm it through in the oven to serve. I think I turned mine out too early and the caramel was not as thick as I was expecting it to be. I had also turned off the heat before adding the butter and maple syrup rather than after so I probably didn’t drive off enough of the water in the maple syrup. Either that or my pears released a lot of water as they cooked. 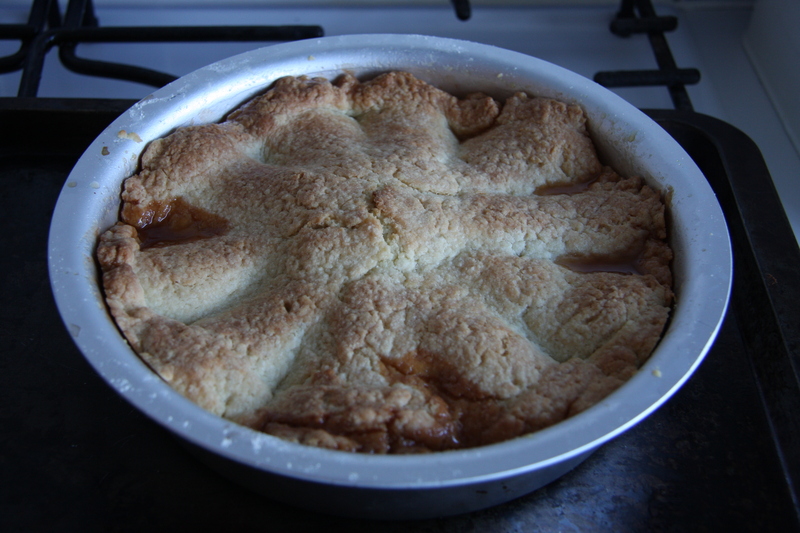 I was afraid the pastry was going to go really soggy but luckily it didn’t, and as the caramel cooled it thickened up. I don’t think anyone noticed! To make the pastry: rub the butter into the flour until the mixture resembles fine breadcrumbs. Add the egg and mix in using a knife until it starts to come together as a dough. Knead very briefly. Wrap in clingfilm and allow to rest in the fridge for a while if it is too warm to roll out immediately. Set the oven to 190ºC. 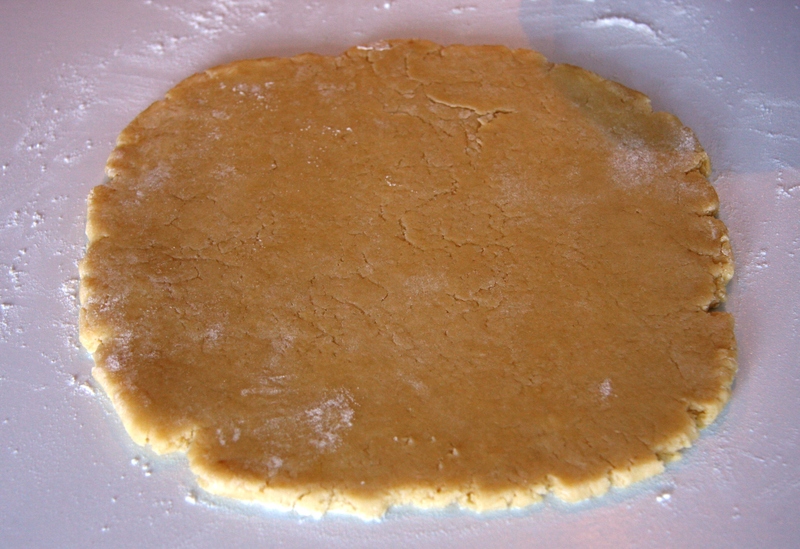 Roll out your pastry to a disc that is slightly larger than your tatin dish. 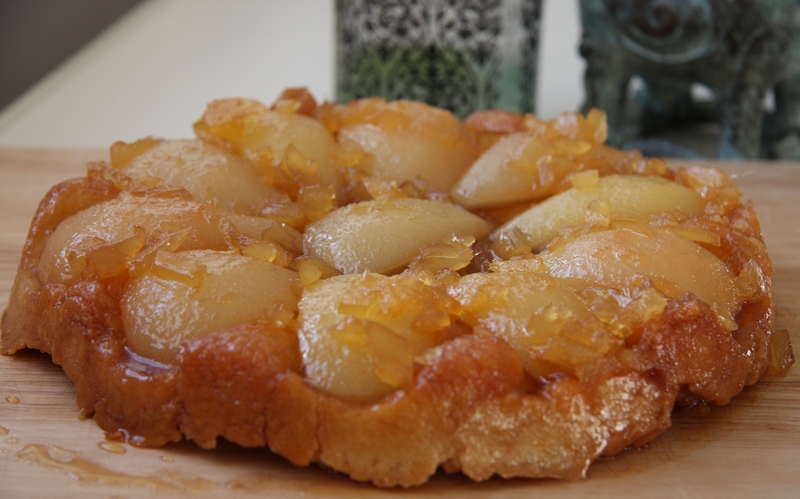 Put the sugar and water into a 20cm/8″ non-stick ovenproof frying pan or tarte tatin dish, if you have one. Alternatively you can make the caramel in a pan and transfer to another tin (without a removable base) to bake the tarte tatin. Heat the sugar and water, stirring until the sugar is fully dissolved. 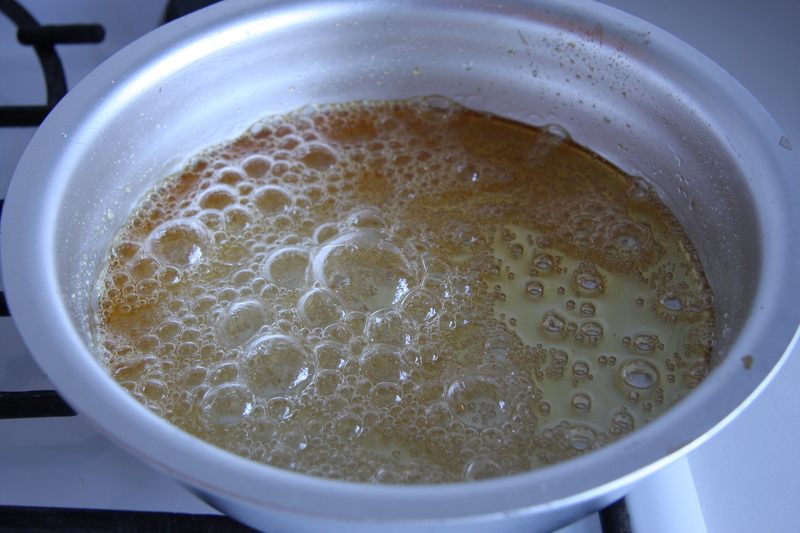 Add the maple syrup and butter and stir until properly combined. Remove from the heat and stir in the chopped ginger. Arrange the pears, cut side up, in the caramel. (Transfer it to your baking tin first if necessary). Bake for around 35-40 minutes, until the pastry is golden. Leave to stand for around 2-3 minutes. Loosen the edges with a knife and carefully turn out to serve. Donna Hay’s recipes are amazing. I tried her fondants last time. I am busy working my way through them! Thanks for your comment. I love the idea of ginger with this. Oh my, what a vision of beauty! I love pears and ginger together. This sounds, and looks, delicious. Beautiful. I so much prefer rustic presentations than fiddly fancy cakes.